Claim Insurance -Insurance claim is tedious exercise and that is the preliminary reason people hesitate to claim insurance. In order to help them, I am herewith step by step guide explaining – How to Claim Insurance. 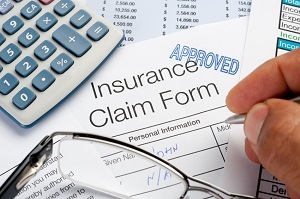 This guide also covers documents required for claiming insurance. Claiming maturity for life insurance is very easy. Insurance company usually sends advance information to policy holder along with discharge voucher. This voucher also contains detail about maturity amount payable. Follow the steps given below for maturity claim of life insurance. The policyholder has to sign the discharge voucher in presence of one witness. Original Policy document and discharge voucher should be submitted to Insurer to process the claim. On unfortunate death of policy holder, a claim intimation should be sent to Insurer as early as possible. This intimation can be given by nominee or legal hire. Any other close relatives or insurance agent can also do this. Follow the steps given below for death claim of life insurance. Submit thisclaimform to Insurance Company along with following documents. The Insurance company may ask additional documents like hospital report, post mortem report etc as per applicability. Health insurance is vital need today. If you or your family is not covered with health insurance please go through health insurance guide. This guide will help you in selecting right health insurance policy. You can apply for Health Insurance claim in following ways. A Cashless Claim – In order to avail cashless claim benefit, your treatment must be done in authorized network hospital. You need to seek permission before availing treatment on a cashless basis. It is part of a protocol for cashless claims. You need to apply in prescribed format to get this permission. Once you obtain the permission treatment can be started under cashless claim model. A Reimbursement Claim – A reimbursement claim is claim to arise after completing the treatment/ hospitalization. Follow the steps given below for the reimbursement claim. Fill up the claim form mentioning all required details. Submit this form to the insurance company along with following documents. Settlement of this claim depends upon the insurer to insurer, however, it will generally take two week time to settle the claim. Motor Insurance claim arise in three different situations. Own Damage Claim – For damage to your own insured vehicle due to the accident. Third party claim – Claim arising due to damage to property or vehicle of another party during the accident. Theft claim if your vehicle is stolen. If your own vehicle is damaged due to accident it is known ad own damage claim. In the event of an accident, you need to inform to police and insurance company immediately. The Insurance Company will depute a surveyor to assess the loss. Don’t attempt to move the vehicle from accident location without permission of police and insurance company. Once a survey is done by surveyor you can shift your vehicle from the location. You need to submit a claim form along with the estimated expense of repair. Once your claim is approved you will get your money. If your policy supports cashless benefit, you need not to pay repairer insurance company will directly pay them. You need to attach following documents to claim insurance. In case of damage to third party’s property or vehicle due accident you need to file third party claim. Process of claiming remains same as that of own damage claim. If your vehicle is stolen, you can file Theft claim. Before filing this claim, you need to inform to Police by filing proper FIR. Follow the steps given below for filing theft claim. Submit the duly filled claim form to the insurance company. The Insurance Company will ask following additional documents. I hope details mentioned above will make your life easy when it comes to filing an insurance claim. If you have any specific queries related to the insurance claim or if you are struggling to file insurance claim do let us know. Also, drop your suggestion in a comment section that will surely help me in writing better content in future.